In the mid 19th Century permission was given by the then Bishop to hold services in a room at Woodbarn Farm in Galley Common. This was later transferred to what became known as the ‘Mission’ located in the old Ribbon Factory, situated in the Rookery, parts of which still exist. 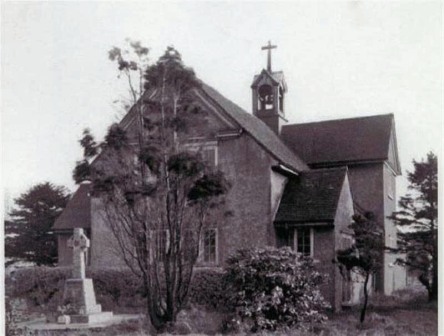 By 1909 enough money had been raised to create a mission church dedicated to StPeter. The Hickman family, the owners of Haunchwood Colliery, a local coal mine, contributed hugely to its cost. The church was created for the benefit of their miners and in turn their families. St Peter’s was designed by London architect Percy Morley Horder, a pupil of George Devey, who was a follower of the popular Arts & Crafts Movement of the mid to late 19th century. Horder also designed Nottingham University for Lord Trent, who became the Head of the ‘Boots Corporation’ responsible for Boots’ Pharmacy. He also re-designed part of the interior of Upton House in Warwickshire and was responsible for several grand park and garden designs for councils and stately homes. From 1909 until the 1950’s Galley Common was part of the parish of Stockingford, eventually becoming a District Council, providing it with some independence. 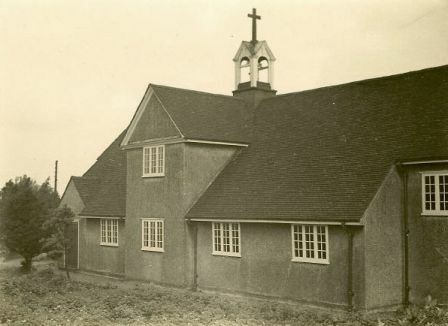 In 1959 it became part of a new district of Galley Common and Camp Hill, which eventually became a parish in 1967. The Rev. S. D. Sneath was its first vicar. 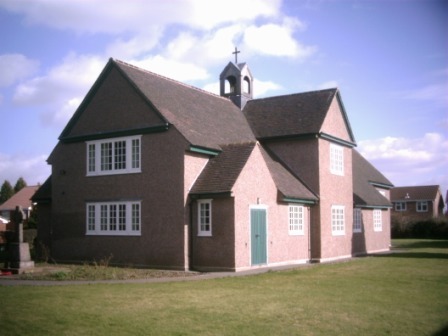 In 1999 St Peter’s became a parish in its own right. During the 1980’s and 1990’s St Peter’s began to have structural issues as the weight of the buildings roof began to force the walls apart. 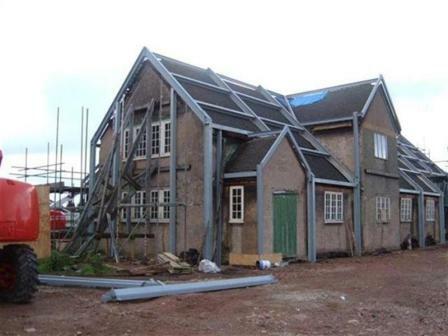 Large temporary supports were hurriedly fixed into position to save the structure. At one point the church was actually declared too unsafe to enter! 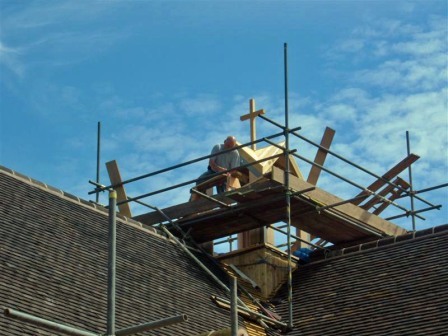 In 2005, after a massive push to save the building, English Heritage and other funders provided nearly £500.000 (the biggest grant of that year) towards the restoration of St Peter’s Church.